Like the PolyJet technology from OBJECT, the MultiJet technology is a high-end solution in 3D printing technology. In MultiJet printing, the printhead covers the entire width of the panel. Therefore, it is irrelevant, for the time needed for the work, whether one or several parts are lying on the platform. The material used here is VisiJet EX200, based on acrylic photopolymers. When printing, the printheads are heated and the individual layers are sprayed onto the panel in ultra-fine drops like in an inkjet printer. The polymerisation / hardening is performed by exposing each sprayed layer to UV light. 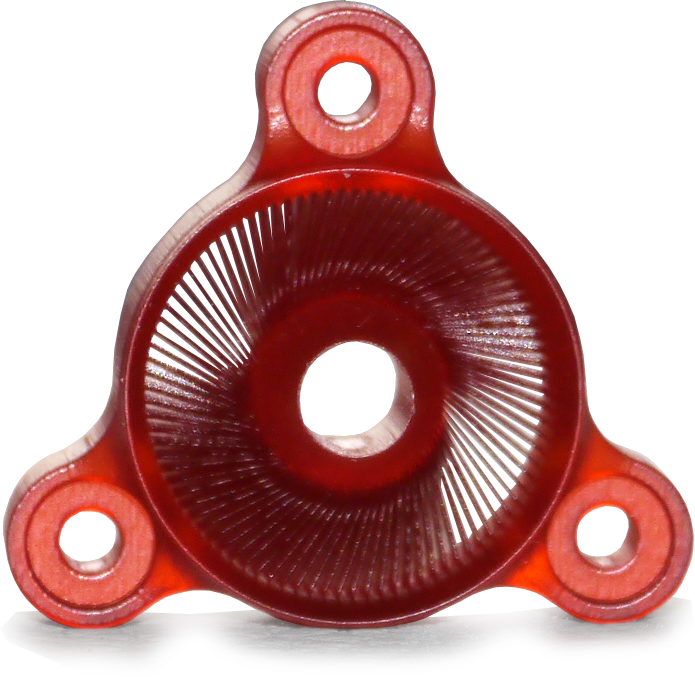 This material is ideal for manufacturing accurate, high-resolution plastic parts similar to ABS and provides scope for functional tests. The transparent material allows you to see the geometry and structures inside the model. The models are also ideal for dyeing with translucent inks. We use VisiJet S300 as a support material. VisiJet S300 is a waxy material and is characterised by its „hands-free“ quality. The support material is melted and the advantage of this material is that very fine geometry can be freed from this support without suffering any damage.